Post any inboard engine builds in this thread. 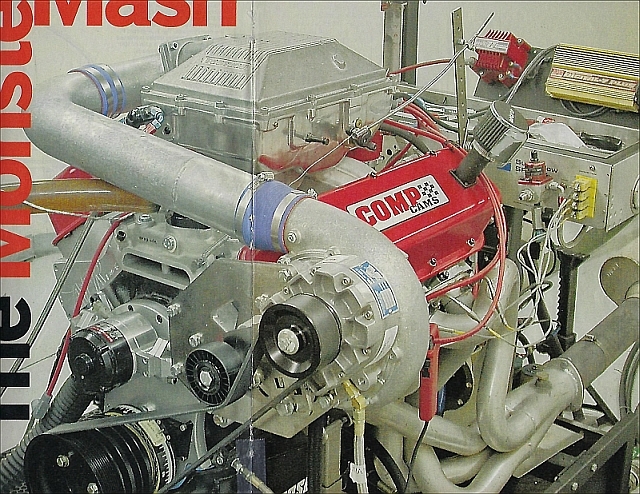 These can be magazine article builds, or your own documented engine build. Last edited by Mr Hot Rod on Tue Nov 06, 2018 4:50 am, edited 3 times in total. The Monster Mash Big-Block Chevrolet 496 by Richard Holdener. This is not a marine engine, so you would have to marinize it e.g. 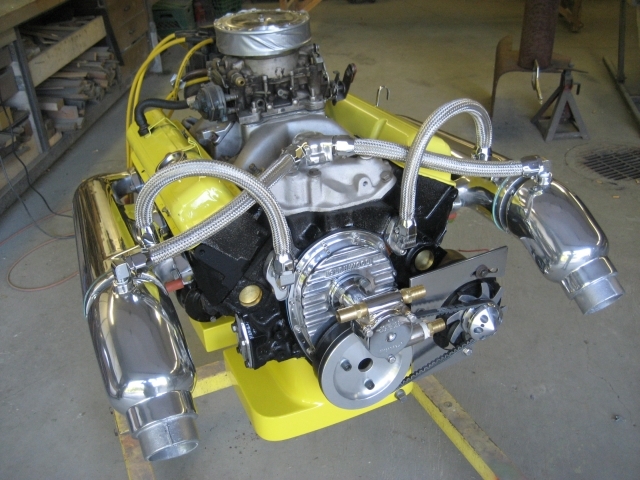 watercooled exhaust manifolds, USCG-approved marine carburetor etc. Either build it yourself or have an engine builder build it for you. The article is copywrighted, so PM me if you want more info about this engine build. Last edited by Mr Hot Rod on Mon Jul 17, 2017 10:06 pm, edited 2 times in total. 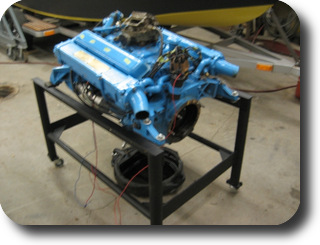 • 283 cubic inch Chevrolet marine unit salvaged from a 1968 Chris Craft cruiser. This is what we built. 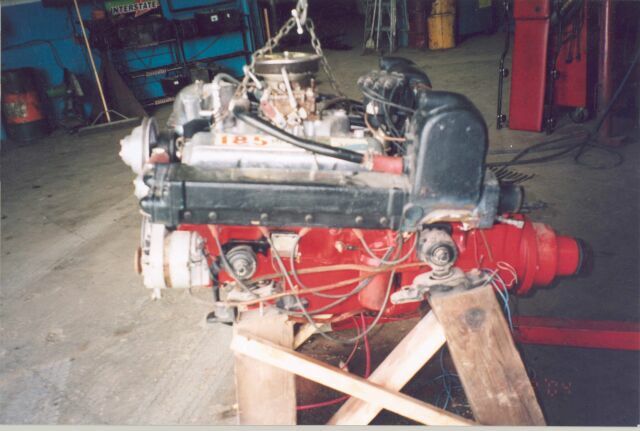 I have a chrysler marine 340 small block V8 that I stumbled across that is already rebuilt that I will be using in the Glen L Bluefin I have under construction. I am currently sanding the hull prior to fiberglass cloth application. 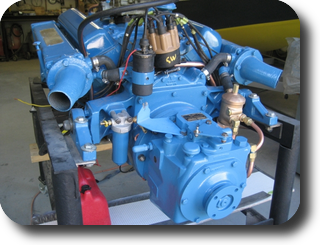 The previous owner of the engine had it rebuilt as it was originally from a 1972 Century boat he was restoring. Later he abandoned the project saying the hull had too much rot and damage. 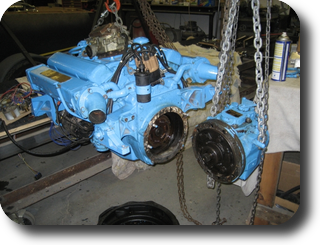 I did some research and the 340 marine small block has a recommended max RPM of around 4000 to 4400. That said the marine version of the 340 chrysler uses 318 heads from the factory. 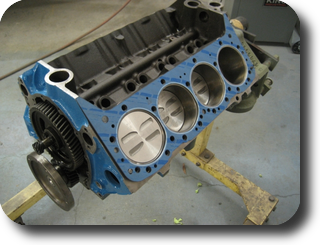 This is because the 340 heads used in automotive engines have larger valves that are made for higher RPM ranges that the marine engine will never see. The smaller valves on the 318 head provides faster more turbulent air fuel mixture flow into the cylinders which gives better low end torque. If the larger 340 heads were used the motor would have poor low end torque which would not work well in a marine application. Normally the cylinders in these motors can only be bored 0.040" over, but I have the receipts for this motor when it was rebuilt and they had to go to 0.060" to get them to clean up. They had to check the block for core shift to make sure they could safely go this large on the bores without making the cylinder's wall thickness to the coolant passages too thin. This displacement on this motor is now about 350 cubic inches. One interesting thing about this engine, is that it has a factory marine 4 barrel intake with the carburetor mounting surface cast on an angle so that the carburetor will be level when the engine is mounted on an angle. This allows the propeller shaft to be angled downward to go through the hull while it is parallel to the engine crankshaft. It will likely be a year from now before I disassemble the engine to check it over to get it ready for installation. I want to run a bottle brush hone through the cylinder before I reassemble the engine to make sure any slight corrosion that might be present in the bores is removed. The engine was built and assembled a few years ago. I have a modern marine electronic ignition system for this engine that I will be using. When I get to that stage, I will get some pictures and post them. I thought I would post information now just in case anyone on the forum has any recommendations for me before I get to that stage. I don't know much of nothing about engines and hate to hijack the thread, but Cyclone, do you have a thread or blog with pictures of your build. The Blue Fin is a design that we've not really seen here on the forum before and I'd sure like to follow your build. The following was reposted from a previous thread. Post : Cheap Swill by Nova SS,Thursday Jan 15, 2009 4:41 pm. 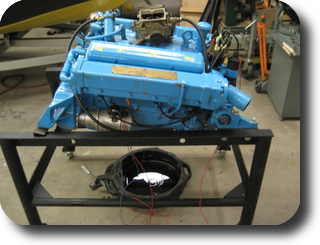 Lately, a hot topic on Glen-L's Boatbuilder Forum has been automotive engine conversion for marine use. 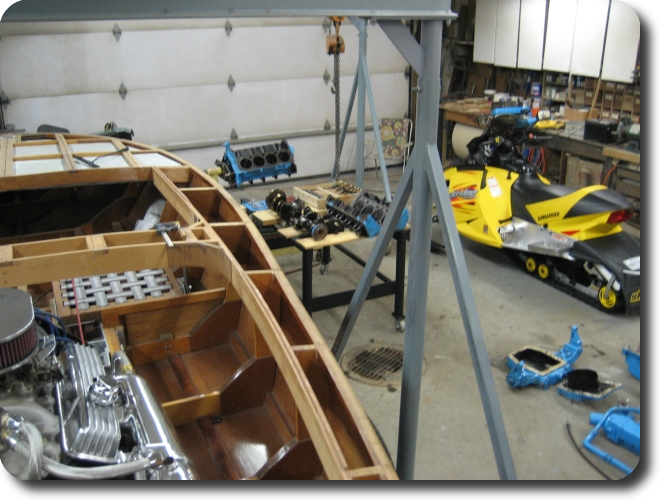 If you've been dreaming about building an inboard powered boat but are intimidated by the rebuild and installation process, this article may answer a few of your questions such as 'where do I start' and 'what are my options'. Last edited by Mr Hot Rod on Tue Aug 29, 2017 1:31 pm, edited 5 times in total. That Cheap Swill article is a good one I've had it saved on my hard drive for years. Here is another one though it uses a higher cr than 87 octane would generally support. Possibly though, as Denon pointed out in his Rampage update thread, the typically cooler engine temps an inboard sees verses a street engine might allow higher cr with lower grade fuel than you could get away with normally. Maybe. Tuning will play a factor as well i suspect. I will review the posted articles on the automotive engines. 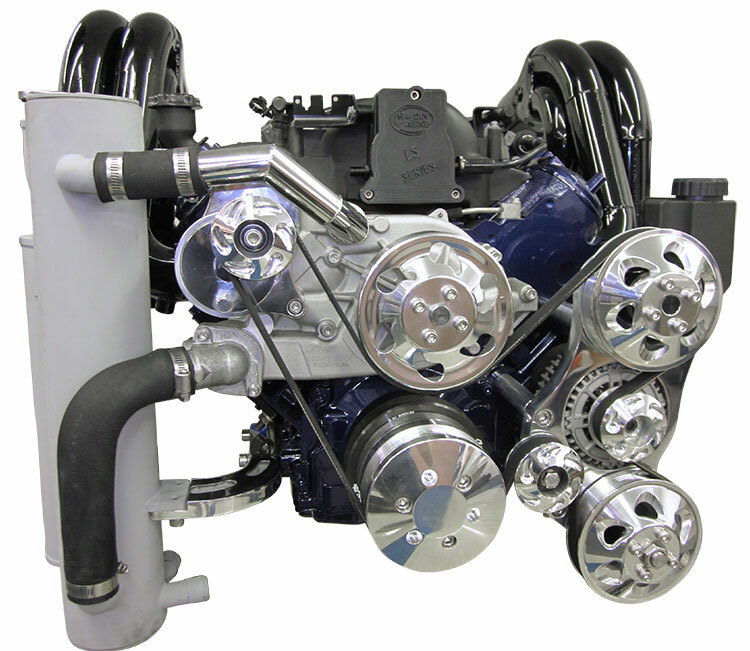 I am not sure what are the main differences between how an engine should be built for automotive use compared to one built for marine service. 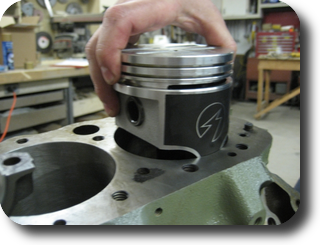 I am thinking for marine use we would want to maximize torque in balance with horsepower at a lower RPM range and not use components that would benefit higher RPM performance that the engine will not see in marine use while sacrificing durability and lower RPM performance. To answer BayouBengal's suggestion for providing more information on my BlueFin build, I am planning on flipping the hull this fall and at that time I think I will make a thread on my build using information I have in some of my previous separate posts from various questions and concerns I ran into during the build. I plan to get some pictures of the build after the flip. I have found it difficult to get good pictures in the past as I only have about a 3 foot perimeter around the hull in my work area, I cannot get far enough away to get much overall detail into the picture as every picture I take looks like a closeup of a small area. I have the hull on a raised building form on wheels which makes the top of the hull 5 feet from the garage floor which limits how high above the hull I can position the camera. Last edited by Mr Hot Rod on Tue Aug 29, 2017 1:31 pm, edited 1 time in total. Cyclone, I think you have it right in that torque is probably more important than high rpm with boats. Every marine version engine I looked at was designed for higher torque. Horsepower is a function of torque times rpm. You can have two versions of say a 300hp 5.7L V8: a high torque topping out at say 5200 rpm and a lower torque version that tops out at say 8000 (examples from thin air, your mileage may vary). Both develop the same hp but do so at different rpm ranges. 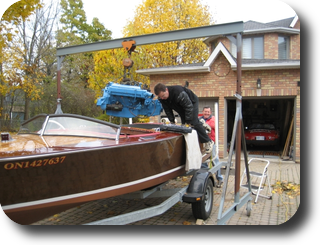 Boats tend to want torque more than rpm, unless it's a racing version. 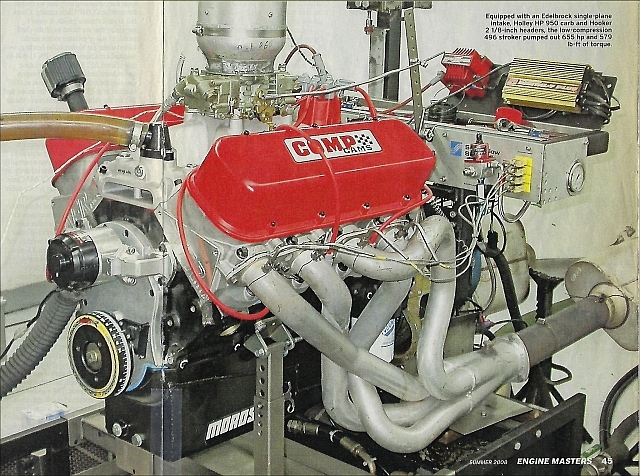 Thought it funny that Ford used a marine 5.0L cam on the mid 90's Mustang GT 5.0 engines, lots more torque and it was a big hit with musclecar folks. Last edited by PeterG on Sun Jul 23, 2017 3:43 pm, edited 1 time in total. Last edited by Mr Hot Rod on Tue Aug 29, 2017 1:32 pm, edited 1 time in total. YAY!!! Engine stuff! I gotta throw something in on this! I'm not sure why I don't see more of these LS engines in the hobby boat building arena? I love old school iron but these engines are so much better in so many ways. 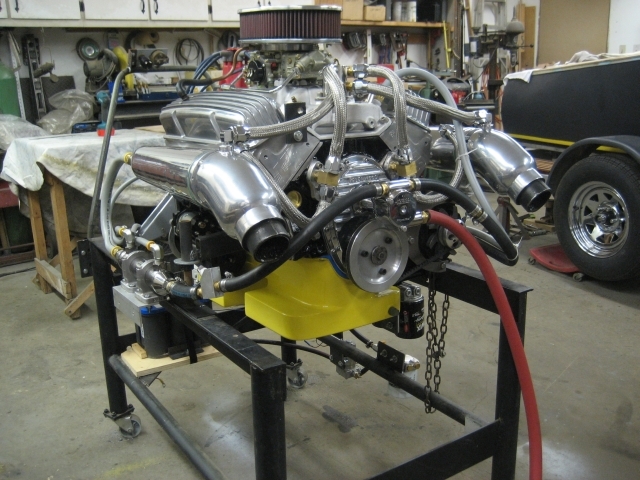 Big block power with the weight of a small block (or less with the aluminum blocks), better sealing against oil and water leaks, factory hydraulic roller valvetrain, etc.... And I can build a 550 hp 6.0L for less money than a 550 hp Gen 1 small block. I even have a buddy that's talking about building a 19' Barrelback and wants to power it with an aluminum block 5.3L that I have. With all the ever-changing info and products available nowadays, this would be perfect as a sticky for referencing. Great idea Paul!! Oh man, this is an *awesome* idea - thanks Paul for getting this started! (And yes, I am a big fan of the REV...is it stock?). A quick question - is the idea here as an archive to reference / describe full builds, or as a conversation for those who are planning? I recommend the former, or I'll get us to page 30 while I get mine built...which hides all of the other ones. In other words, I feel like the best plan is (for instance) for me to start my own thread on my build, then when it's done, summarize and reference it here. That way this thread can act as a sort of archive / collection of everyone's builds...but that's just my $0.02.